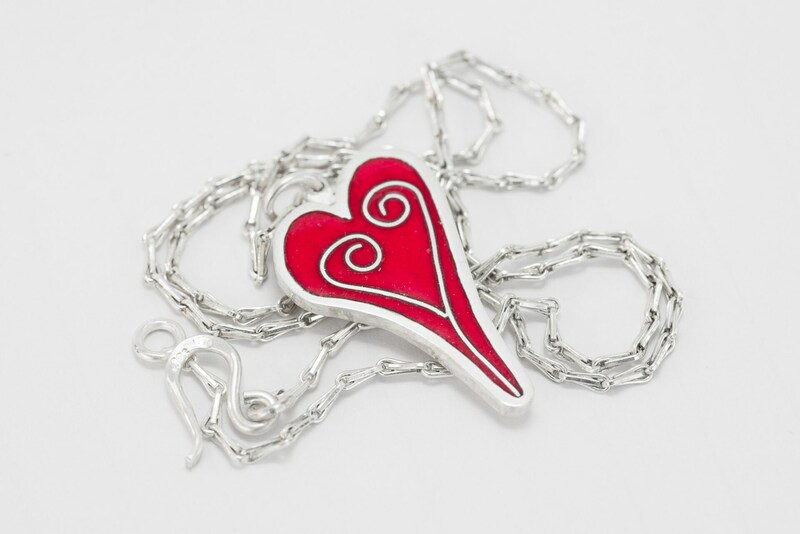 This eye catching necklace is formed by two layers of silver sheets with the red enamel around the two twirls in the heart. Necklace comes in a gift box. The fact that Vitreous Enamel is glass makes it vulnerable to strong damage, the enamel might chip off. Please wear the jewellery with care.